We have two beautiful spaces for your next event! Our main function room possesses panoramic views of the greens and is the perfect setting for an a la carte style function. Whether it be a wedding reception, corporate event or school formal, our versatile room can be set and decorated to best reflect your vision. Our Nulla Bar can cater for up to 80 guests and is the ideal canape function space. Both rooms have various packages allowing us to best accommodate your budget. 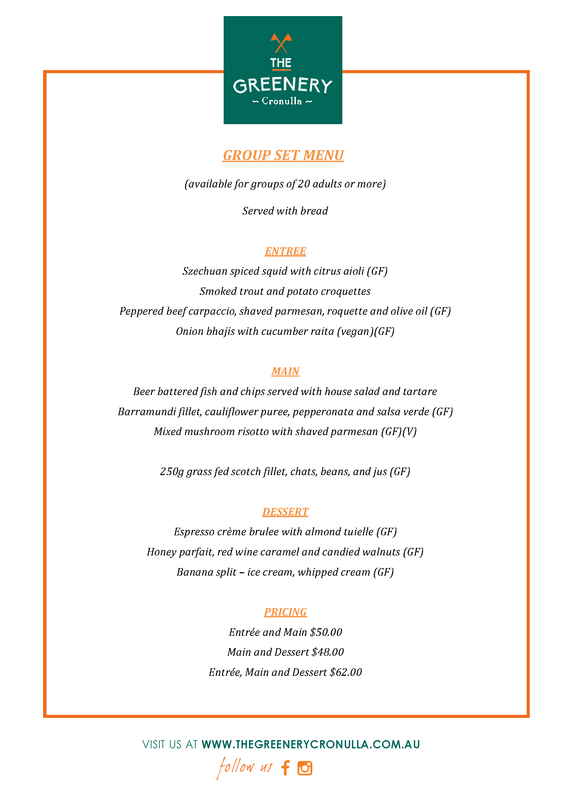 If you’re planning a lunch or dinner for a group of 20 or more, as a suggestion for much larger groups, we offer our group set menu. please call us on (02) 9523 2266.